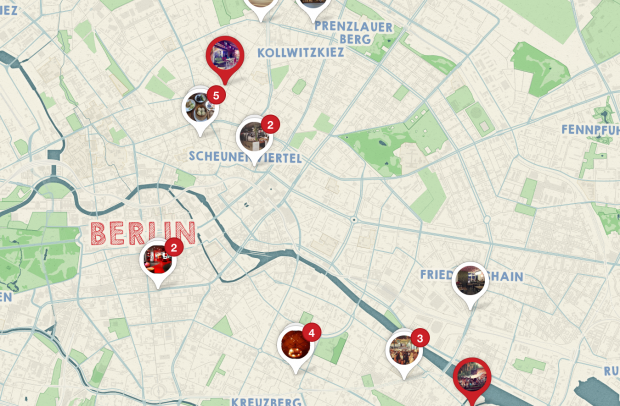 Lovely neighbourhood café in Prenzlauer Berg that’s very popular for its breakfast and cakes. The place got its name since it’s a café and flower shop in one. 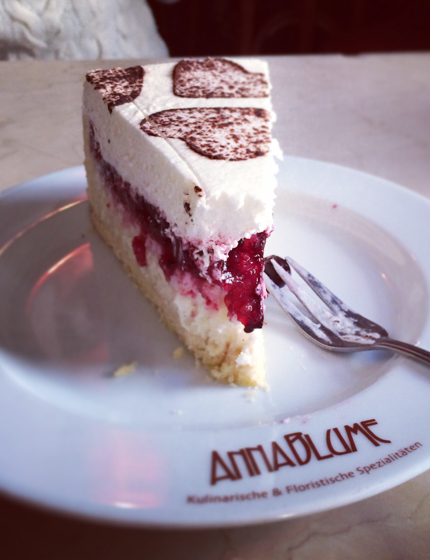 I had a lovely slice of cake at Café Anna Blume in the Berlin baking episode of my show, you can watch it here. 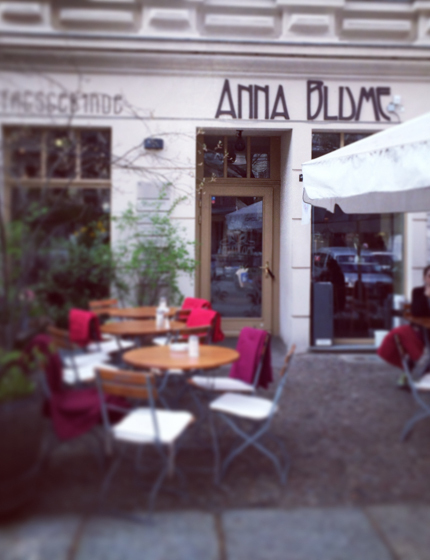 You can find the exact location of the Café Anna Blume and other tips on my Berlin Pinterest map.